I have two questions: 1. How do I ensure Virtual Machine Manager is running on the host using Powershell? 2. 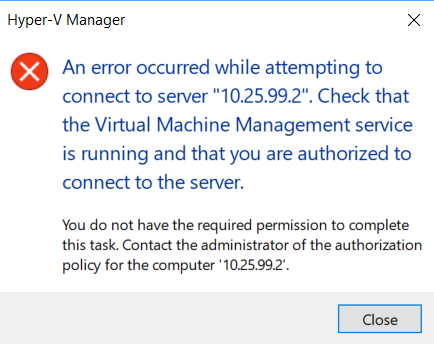 How do I ensure I have correct permissions on the host to manage it with Hyper-V manager? Ensure you have winrm quickconfig setup. It's more than likely already running if you have VMs on it. Check that you're a member of the hyper-v administrator groups. It's most likely that.